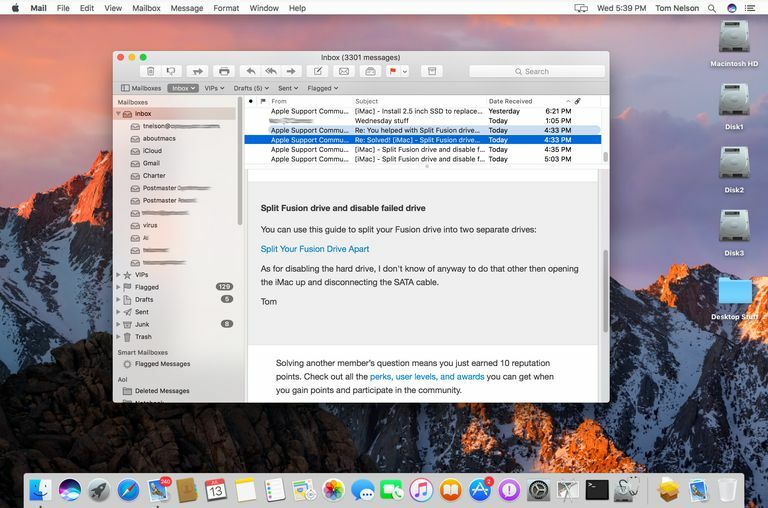 Simple and unobtrusive yet powerful and precise, the junk mail filter built into Mac OS X Mail is a truly helpful companion. It is not, however, immune from misjudgment. To make work a bit easier for the filter and to make sure the good mail from the good senders you know goes to the Inbox unhampered, tell the Mail application who you know and instruct it never to treat these senders' emails as spam. This process is referred to as "whitelisting." Select Mail > Preferences from the menu in Mac OS X Mail. Select the Junk Mail tab. In the section labeled The following types of messages are exempt from junk mail filtering, place a check mark in the box in front of Sender of message is in my Contacts. Optionally, check Sender of message is in my Previous Recipients as well. Add known senders to your Contacts to prevent Mail from filtering their emails out as spam. Add any sender you want to protect from spam filtering to the Contacts application on your Mac. You can do that easily from an existing email. Open an email from a sender in the Mail app. Highlight the sender's name or email address at the top of the email by moving your cursor over it. Select the arrow that appears at the end of the highlighted name or email address. Select Add to Contacts from the drop-down menu to open the information in the Contacts application. Enter any additional information for the contact and select Done. This method of whitelisting protects individual email addresses, but it doesn't apply to entire domains. You can whitelist "sender@example.com" by adding that address to your Contacts, but you can't whitelist all mail coming from the "example.com" domain. However, you can whitelist domains by writing a Rule in Preferences.